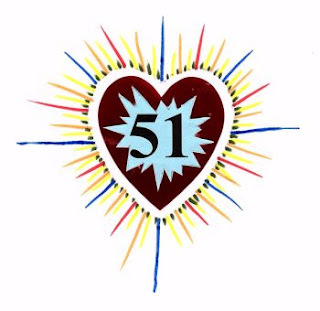 Synopsis: A salvation and success case starts this mini-self-love-lesson; the 51 story follows; core okayness; okayness voters; voters from your past; and the importance of 51 not 100 are all explained here. Until Cally learned to use the simple, number 51, super tool her head was often filled with painful thoughts that others were looking down on her, seeing her as inadequate, ugly, stupid, not good enough, socially inept and generally inferior. What others thought of her she was sure was always negative, disapproving and probably correct. She was quite sure that no one could look at her or listen to her without having good reason to criticize her. Her self-esteem, self-confidence, self approval and worst of all her healthy self-love all were nearly nonexistent. This was true even though, by objective measurement, at most things she was at least average, or a little better, and sometimes even good to excellent at some things. When people pointed this out to her she felt embarrassed and she thought, not only were they mistaken, but she worried that they were making fun of her, or lying to her because they wanted something. Cally tried to do everything as good as she could, but it was never good enough to compare to how good other people did. She always was comparing herself to others and coming up short. Worst of all she was quite sure no one would ever love her or want to be in a love relationship with such an inferior person. Cally lived with a pervasive sense of agonizing inferiority, almost constantly torturing herself with her own self-critical thoughts. If she did hear some critical remark, or something she could interpret as such, it was like knives piercing her. If a person frowned in her direction, she would try to leave as quickly as possible to escape the terribly tormenting looks of disapproval. One day by accident Cally ran into Charles. She remembered him from high school as the boy she kind of liked because he seemed so like herself, but he had dropped out after his serious suicide attempt. Charles seemed happy to see her and was quite upbeat. That was so unlike the boy she remembered. He asked her to go to lunch and she shyly agreed. He told her his story of once being sure he was a total loser and how he had become a real winner at life, starting with group therapy in the psychiatric hospital. Then he learned about the magic of number 51. This is the story he told her about that wonderful tool he used almost every day. Every day you are in an okayness election. If you let what others think of you, or what you believe they think of you, have over 51% of the vote, you are doing a terrible disservice to yourself. You are letting others determine your okayness. When you were a child your parents, or whoever was raising you, had over 51% of the vote on how okay you were. If they voted you were not okay, they could spank you, scream and shout at you in all sorts of disapproving ways, take your toys away, send you to bed without supper, and by doing things like that at worst they programmed you to subconsciously disapprove of yourself. Your parents, or whoever, also could reward you, let you do what you wanted to do and give you things that you could not give yourself. Your okayness, therefore, was dependent on your parents. When you were starting into adolescence, mother nature insisted that you give importance to your peer’s opinions of you. It was vitally important to learn to fit in and hopefully get the approval of your ‘in group’ so that you too might become accepted and perhaps even one day be popular. Some think this is now genetic because when peers did not approve of you, in caveman days, you could be thrown out of the cave, or the village, and the wolves or tigers would get you. Fitting in meant survival. Many people get stuck for their whole lives at that adolescent dilemma level. They never learn that as an adult you can have 51% of the vote on your own okayness everyday. Thus, both in childhood and adolescence you were learning to give your vote and your personal power away. But now you can become a full adult and keep everyone else’s votes down at the 49%, or less, level. If all the world thinks you are terrible but if you vote for yourself, you win the election and feel okay. If all the world thinks you are marvelous but you, as an adult objectively and realistically can prove that to be untrue, you win that election too, and you are not quite okay just yet. However, that only means you have some improvement work to do. You have to be careful here. It could be subconscious programming from the highly critical, or the nay sayers of your earlier life that are trying to steal your ‘I’m okay’ vote from you. Do you see that the fact you can read this mini-love-lesson proves that you are a miracle of the universe. Not only that you are a one-of-a-kind, unique, bundle of miracles and even if you have a twin, no one is exactly like the incredible and individual work of art that you are. Even a rock is a miracle but you are so much more than that. You are born with miraculous, intrinsic value which you can appreciate, honor and own. Therefore, you have ‘being’ value. What you do may or may not add a lot of ‘doing’ value or ‘product’ value” as you go through life. Think about it. Newborn babies do not do anything except eat, sleep, poop and perhaps cause difficulty and yet they are regarded as having great importance, or in other words ‘intrinsic value’. You continue to have that intrinsic value all your life. Just because there are a lot of us on the planet it does not diminish that. Now, your job is to ‘own’ your intrinsic and unique value, and be in awe of it, and then be delighted to know that it is ‘the core essential you’. Thinking that way is a suggested startup focus for growing your self approval, and going on to a full sense of realizing you are okay enough to vote for yourself, every day, 51% or more. Who Gets to Vote in Your Okayness Election? Are you like Cally who used to let everybody and anybody vote in her okayness elections every day? If you are frequently worried about ‘what do others think or say about you’, ask yourself this question. 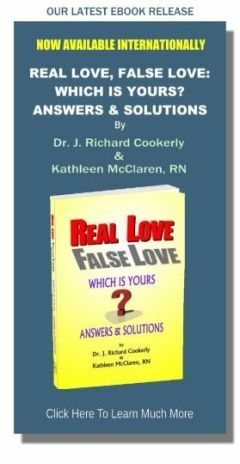 “Can the people who you worry about thinking negatively of you have any tangible, real effect in your life? If they do not, and are not likely to effect your health, or those you care about in any major way, why give them many or even any votes? Likewise, if they do not, or are not likely to affect your wealth by which you buy your own and your loved one’s lifestyle, why let them have many votes? Also if you are concerned about what others think, and they do not and are not likely to affect your major opportunities in life, or the opportunities of those you care about, why should they get lots of votes in your okayness election. Maybe you would like to give them a few votes so you can consider their input but certainly not anything close to 51% or more. If you care about what the neighbor down the street thinks about you, and they have no likely major effect on your health, wealth or opportunities, you can start saying to yourself things like “Neighbor, I will give your input a little consideration but not much. I’m the one who effects my life the most, and so if you approve of me and my doings that’s nice, and if you don’t, you get no vote in my feeling okay about myself”. If a policeman is giving you a ticket, care a lot about what he thinks for a short time because he may carry a gun and can affect your health in a really major way. Care about what your boss thinks because he signs your paycheck and can effect your wealth, and the lifestyle it buys, for you and yours. Just as the people who live in another nation do not vote in your nation’s elections, do not let those who are not going to really effect your life have more votes than you have for yourself. You can, in fact, give them no votes at all. Do you have a ‘committee in your head’ that is constantly criticizing you for one thing or another? Do you have, living in your head, copies of critical parents or other family members who were negative or abusive to you when you were growing up? Are those subconscious copies talking against you or putting you down, still telling you, you are not okay today? Do you worry about what ‘they’ say, or ‘they’ think, and do you know who the ‘they’ really are? Usually ‘they’ turn out to be people no longer in your life, like those in your teenage years when ‘fitting in’ and peer acceptance seemed so vitally important? Sometimes ‘they’ are a sort of vague understanding of what you have been taught to believe is ‘everybody’. Whoever that is in your thoughts, the truth is there are lots of other humans not thinking, or doing, and not even concerned about what you were taught that mattered and was ‘normal’. It may take some work but you can disenfranchise all these subconscious voters. Cally and Charles both found that emphatically saying to themselves things like, “You high schoolers in my head, who did not include me in your popular ‘in group’, you no longer matter and you get no more chances to vote in my okayness elections”. Charles also found saying similar things to the memory of his father, who had physically and severely emotionally abused him, made him feel strong and happy. He said, “Growing up I dared not ever talk back, but now I can, and I finally have been able to completely silence my father’s horrible voice in my head”. One cautionary note, it is important to hear the input of others and especially give those you love both freedom of speech and significant votes in your okayness election but still retain 51% for your own okayness. Giving 100% to anybody would be too much. We do best with multiple and diverse views being taken into account. Now use the ‘51′ tool and vote for yourself!! !